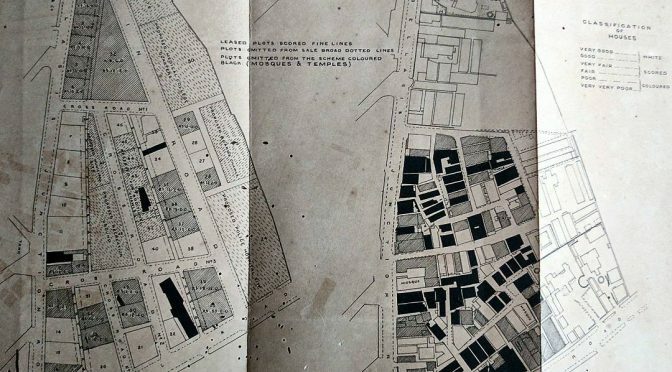 The BIT was equipped by the colonial state with draconian powers of compulsory acquisition, land clearance and slum demolition, to erect new buildings and build broad boulevards, and immunise colonial Bombay in the wake of the plague epidemic. The BIT acquired, demolished and redeveloped the city’s slums, swamps and streets, to unclog the city’s arteries and increase its circulation. Within a decade of its establishment, the BIT emerged as the single largest land-owner in colonial Bombay by seizing and plotting vast tracts into new planning “schemes” – though not without costly legal and technical challenges to its eminent domain from landlords and tenants, temples and mosques, and owners of shops, theatres and quarries. 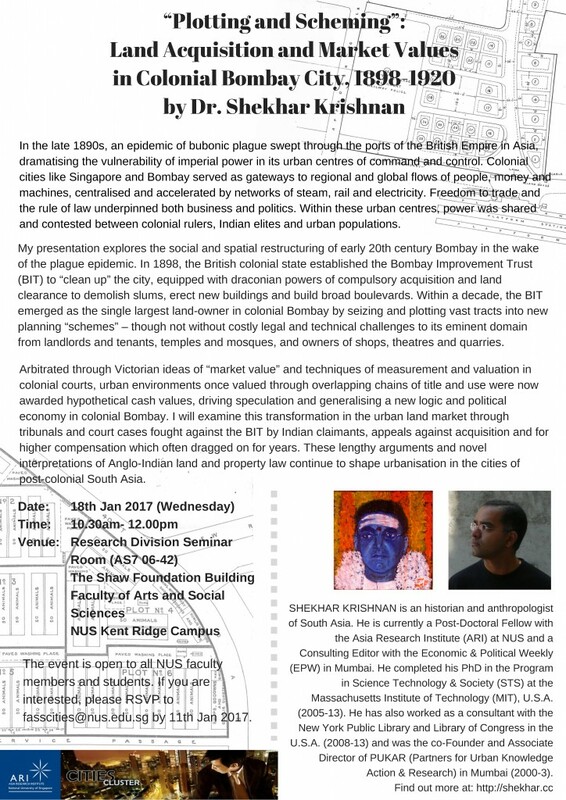 Arbitrated through Victorian ideas of “market value” and techniques of measurement and valuation in colonial courts, urban environments once valued through overlapping chains of title and uses were now awarded hypothetical cash values, driving speculation and generalising a new logic and political economy in colonial Bombay. I examine this transformation in the urban land market through tribunals and court cases fought against the BIT by Indian claimants along the alignment of Sandhurst Road, Scheme 3 of the BIT declared in 1899, notified for acquisition in 1902, and completed and thrown open to traffic in 1910. Cases against acquisition and for higher compensation fought by claimants along the road established novel precedents in Anglo-Indian jurisprudence on land acquisition and valuation. These arguments and interpretations of land and property law continue to shape urbanisation in the cities of post-colonial India and South Asia.